For the safety of our staff and students, please follow our NEW end of the day pick-up/dismissal procedures. Students who are picked at the end of the day, will be picked up at the SOUTH playground, fence entrance (same location as arrival). Students will exit the building through the playground doors and meet you at the fence. Parents must park in the south parking lot, and walk to the fence to meet their child. Students will no longer be coming out of the daycare/gym door. 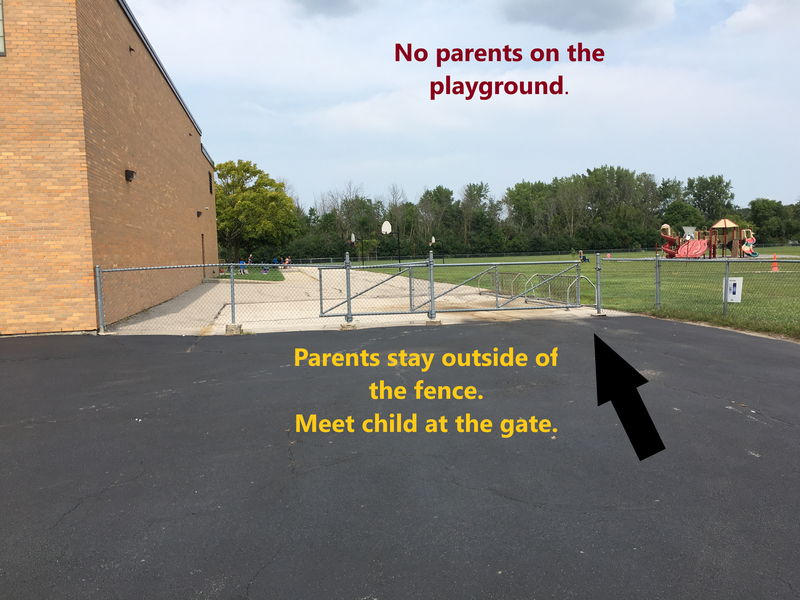 Parents are not allowed on the playground at the end of the day, or during dismissal, so please stand on the south side of the fence and wait for your child. There will be adult supervision at the fence to help with the students and procedures. Please refer to the attached photos for clarification. We thank you for your cooperation and patience. Be sure to share this with any other family members that may be picking up your child at the end of the day. Copyright © Bangor Township Schools 2019. All rights reserved.